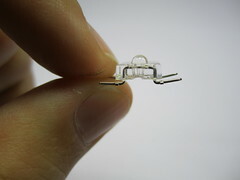 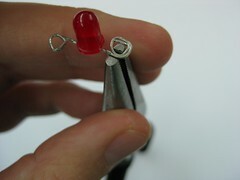 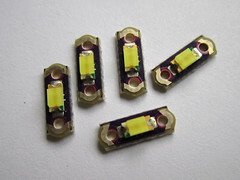 If you want to include LED lights in your projects, one of the classic options used to be to wind the legs of a through-hole LED around the tip of a pair of needle-nose pliers, making rings that could then be sewn. 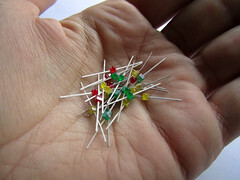 Another option introduced by Leah Buechley, was to solder tiny metal crimp beads to the ends of a surface-mount LED, making it sewable. 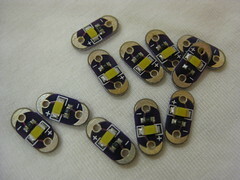 But by now there are some more options out there and this posts tries to collect different solutions for sewable LED lights. 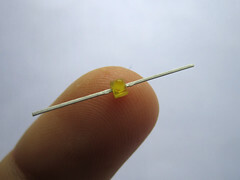 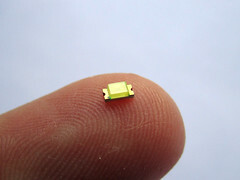 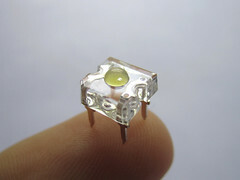 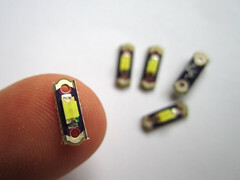 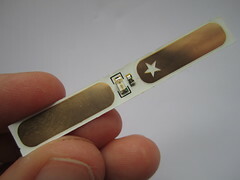 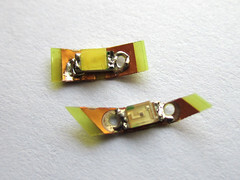 An easy solution for surface mount LEDs is to solder a strip of very flexible wire, or even a solderable conductive thread (like the ones from Karl Grimm), to the ends of the LED and you don’t even need to make it into a loop. 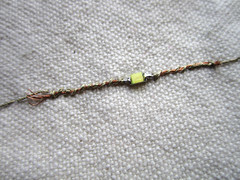 Simply leave a 2-3 cm long lead and the stitch around it with another (non-solderable) conductive thread. 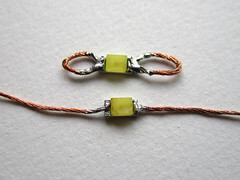 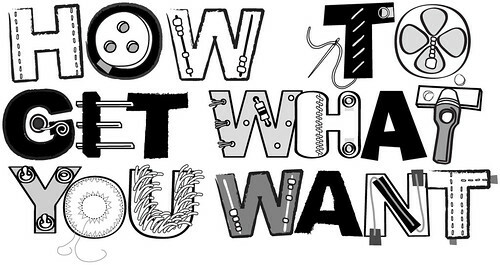 Or you could also sew with the solderable conductive thread and attach the LED afterwards! 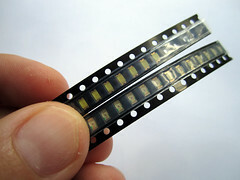 Unfortunately the spacing between the strip’s holes is slightly narrow, so it can be hard to solder on a surface mount LED without covering one of the holes. 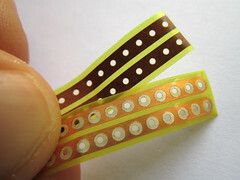 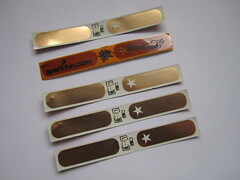 A solution to this is to cut the strip diagonally, giving you a bit more space between the holes.